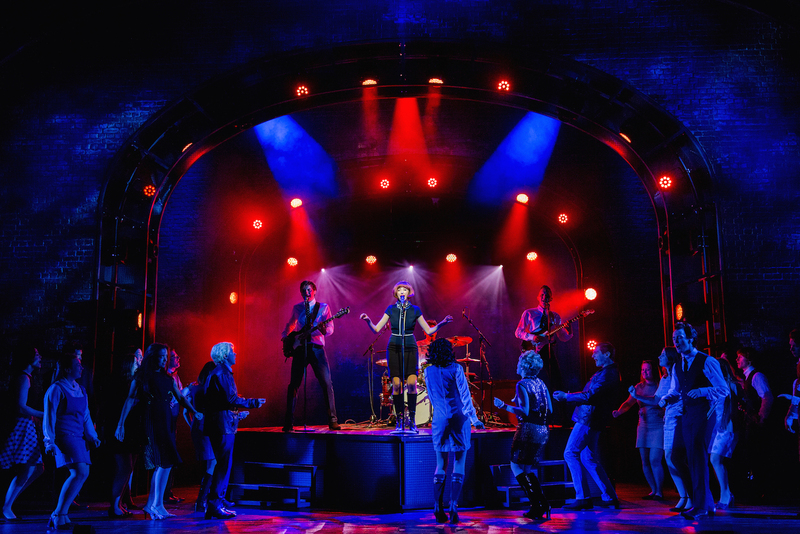 Review: Cilla – The Musical. Nottingham Theatre Royal. (touring) – East Midlands Theatre. First and foremost, Cilla – The Musical is far from being a plain Black and White production. It is colourfully exuberant, vital, emotionally tender and full of a lorra lorra heart. It is chock full of vibrant working class distinctly Liverpudlian life in the 1950/60s onwards and follows the bold technicolour story of entertainer/singer Cilla Black on her early rise to fame. Having just gone down a storm in Liverpool itself, Bill Kenwright and Laurie Mansfield’s touring show, is now showing at Nottingham Theatre Royal until Saturday 7th April. Given the two standing ovations at the finale on this press night it appears that we Nottingham folk are rather keen on Cilla – The Musical and its current cast! Before we get to the main cast a special mention must be made of the super dancer-performers from Mansfield’s Expressions Performing Arts who open the show to give us a really great 1960s dance and music venue atmosphere in ‘The Cavern’ set. Their professional presence on stage allows us to share in a real feel of youth and community at the virtual birth of some ‘soon to be big names’ in 1960s popular music culture. The Expressions Performing Arts students blend into this professional show seamlessly. Kara Lily Hayworth is totally sensational as ‘our’ Cilla; moving from gawkish semi-reluctant singing wannabe, Priscilla Maria Veronica White to professionally smooth – world famous – Cilla Black – with her lovable, warts and all personality. Her journey is very believable throughout even in this showy medium of musical theatre. 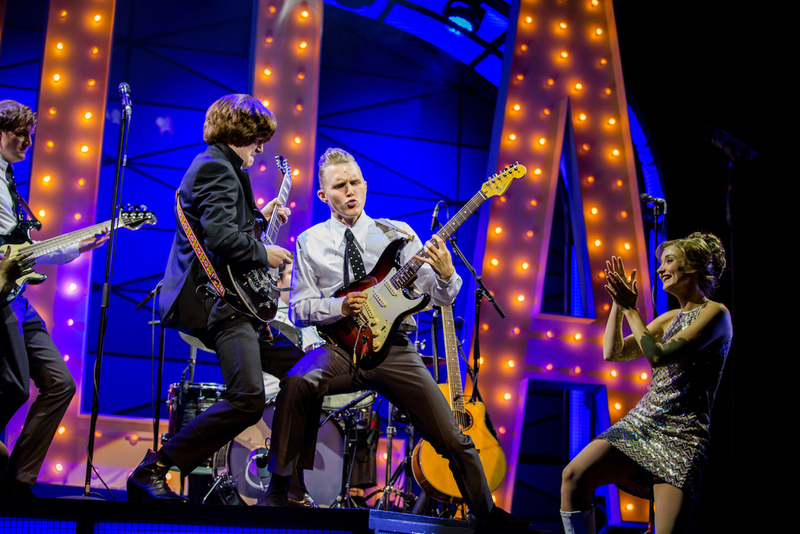 Her slow burn relationship with the eventual love of her life, Bobby Willis, is heart-breakingly good and Carl Au is very credible as Bobby and possesses a strikingly good singing voice as well as a solidly believable stage persona. To care about those one sees depicted on stage is paramount in the enjoyment of any show and all of this highly credible cast are people you care about deeply and make it the true success it is. 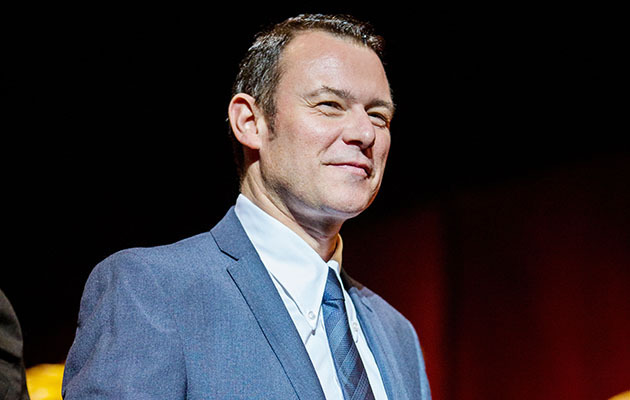 Andrew Lancel excels as confident but ultimately vulnerable homosexual music impresario Brian Epstein. One really feels for him as he starts to lose control of his mini music empire based principally on the successes of The Beatles and Cilla Black. This is down to Lancel’s excellent and quietly moving portrayal of a likeable man operating in a time when his sexual nature and practice was still illegal. The Beatles in this cast are Bill Caple (Ringo Star), Joshua Gannon (Paul McCartney), Michael Hawkins (John Lennon) and Alex Harford (George Harrison). All play and sing live and put their hearts and souls into their credible depictions. The set designs by Gary McCann are slickly operated and superbly impressive especially when Cilla broadcasts on US television. The scene change from the previous domestic scene to the US TV studio is astonishingly good. The scenes in Cilla’s Mam and Dad’s house in the Scotland Road area of Liverpool are cleverly realised. Peopled by such excellent actors as Pauline Fleming (Big Cilla) and Neil McDonald (John White) we get a real sense of period and the Catholic-Protestant divide in 1960s Liverpool. Throughout the piece we also get plenty of humour and human surprises. 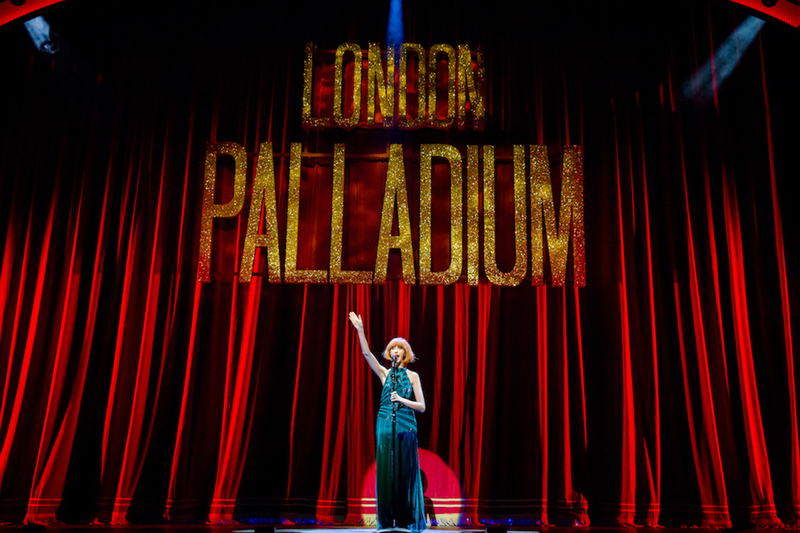 There are twenty nine live musical numbers in the show, sixteen of them wonderfully sung by Kara Lily Hayworth as Cilla Black and feature solo songs and numbers with other members of the cast. As well as songs from the songbook of Cilla Black we have music and songs from The Beatles, Big Three, Gerry and The Pacemakers, The Mamas and The Pappas and John Lennon. As a reviewer for this show one could praise the production all night long and beyond for the top quality of its stage values and attention to detail – to moments of appreciative exhilaration and others more sombre and sympathetic. To end, this reviewer sees no better way than to suggest you check out this great promo video and get down to the Theatre Royal Nottingham and have a fantastic night in the superb company the terrific cast of Cilla – the musical. Review: Macbeth by Much Ado About Theatre.